December 3, 2018 1:21 pm. The inaugural European Road to the Kentucky Derby winner, Gronkowski, will be off on his international travels again. After placing twice in four U.S. starts for Chad Brown, most notably when runner-up to Triple Crown sweeper Justify in the Belmont (G1), “Gronk” will transfer to Dubai-based trainer Sandeep Jadhav for the 2019 World Cup Carnival. Phoenix Thoroughbreds’ Amer Abdulaziz discussed the stable’s plans in the November 29 newsletter from the Dubai Racing Club. Also set to ship out is multiple Grade 3-winning sophomore Axelrod, hitherto trained by Michael McCarthy. Three Al Maktoum Challenge races serve as stepping stones to the World Cup, now worth a total of $12 million in its March 30 renewal. The Al Maktoum Challenge Round 1 (G2), held over a metric mile on the Meydan dirt, is the highlight of the January 10 card. 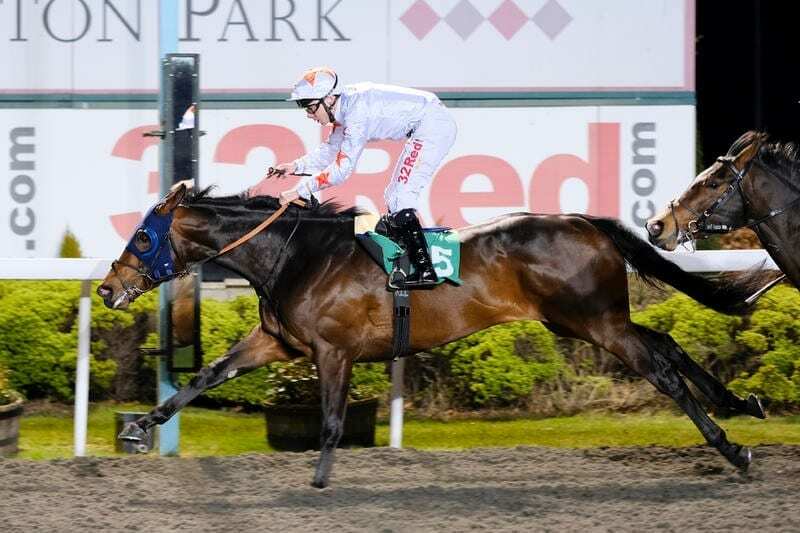 The distances increase for the next legs, with the Al Maktoum Challenge Round 2 (G2) at about 1 3/16 miles on February 7 and Round 3 (G1), at the World Cup trip of about 1 1/4 miles, is on “Super Saturday” March 9. Thunder Snow competed in all three preps in 2018. His Round 2 victory was bookended by seconds in the others on the way to his World Cup romp. After his recent third in the Breeders’ Cup Classic (G1) at Churchill Downs, Godolphin trainer Saeed bin Suroor indicated that Thunder Snow would return to Dubai for a title defense. Axelrod, ninth in the Breeders’ Cup Classic versus older horses, had been on the upswing against fellow three-year-olds. He’d captured the Indiana Derby (G3) and Smarty Jones (G3) and placed second in the Pennsylvania Derby (G1), prompting Phoenix to buy into the colt and partner with owner Slam Dunk Racing. Gronkowski was in peak form earlier in the season. The winner of four straight for original trainer Jeremy Noseda, he was unable to use his ticket to the Derby when coming down with an illness. He was shipped to Brown in New York to prepare for the Belmont, where he finished a hard-charging second at odds of 24-1. Gronkowski has been lackluster since, winding up eighth in the Travers (G1), sixth against his elders in the Jockey Club Gold Cup (G1), and a mildly closing third in the November 24 Discovery (G3) back in his own age group. New trainer Jadhav, former assistant to Salem bin Ghadayer, is beginning his first UAE season as a head trainer in his own right. Jadhav, who took over the yard after bin Ghadayer was suspended, sent out Heavy Metal to win the Godolphin Mile (G2) on World Cup night. The 2018-19 UAE season started October 26, and as of December 1, Jadhav had five winners and eight placed horses from 55 runners.